I’ve been on a glass ornament kick as of late (see crayon ornaments and glow ornaments LOL). I’m trying to think of the craziest and coolest ways to put stuff inside. 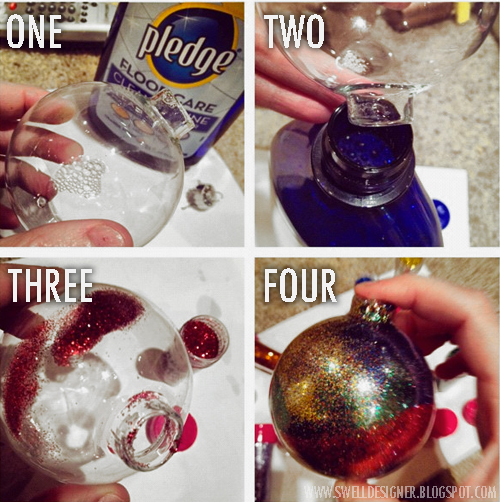 The other night I was perusing That Ornament Girl’s blog and I saw she used wax mopping liquid to coat the inside of ornaments to apply glitter. Pretty rad, huh? I decided to add more than just one color to mine and I think they turned out pretty magical – almost galaxy-like. Here’s the 411 on you can get the look. It only takes 5 minutes for each ornament! Learn how to make this ornament now reading the steps below or by watching my video! In the video, I use a concoction of Water and Collage Pauge. Both this mixture and the mopping liquid work great, so use what you have on hand! ONE Remove the stem of a clear ornament (you can buy them via Amazon Prime HERE) and apply the clear floor wax (I used THIS Pledge) to the inside of your ornament. TWO Swish the wax around and pour back in bottle. THREE Pour a variety of little Tulip Fashion Glitters inside (see pic below). FOUR Swirl and shake the colors around and add cap back on! Easy and fun, huh? 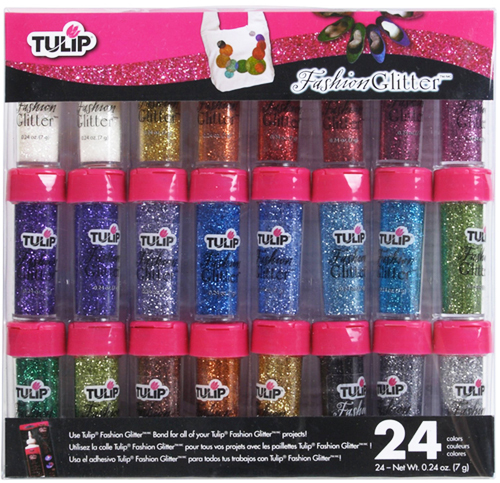 Here’s the fun colors in the Tulip Fashion Glitter pack! A little glitter goes a long way and all the colors are so vibrant. This would be a fun one to put on your crafty gift list this year! 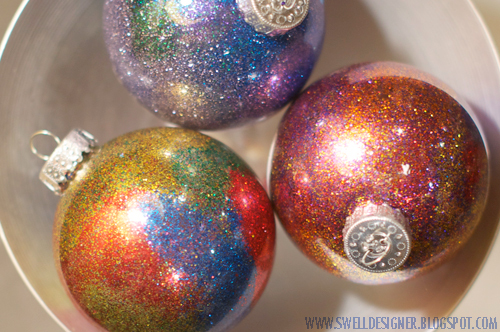 The ornaments turned out so sparkly and remind me of the galaxy bleach art I’ve been seeing on clothing and shoes! Each one turns out differently and where the glitter lands, it lands. It’s seriously addictive to make these little ornaments, so make sure to buy several packages of clear ornaments when they are on sale or with you craft store coupon! 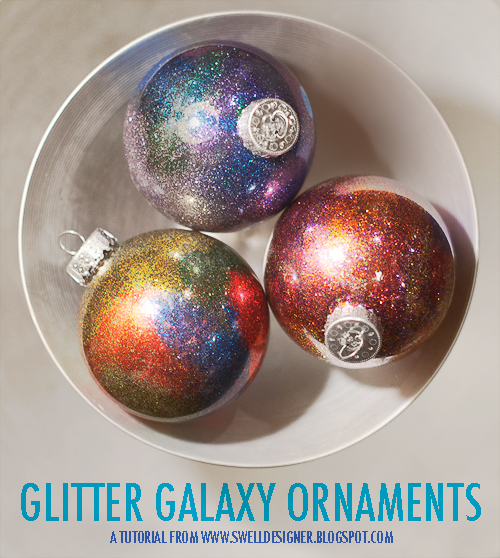 So you do think you’ll add a little glitter to your tree or gifts this season! This would be a definite fun way to add some serious sparkle. If you love this project, then sign up for my NEWSLETTER where I share lots of DIY and creative fun. 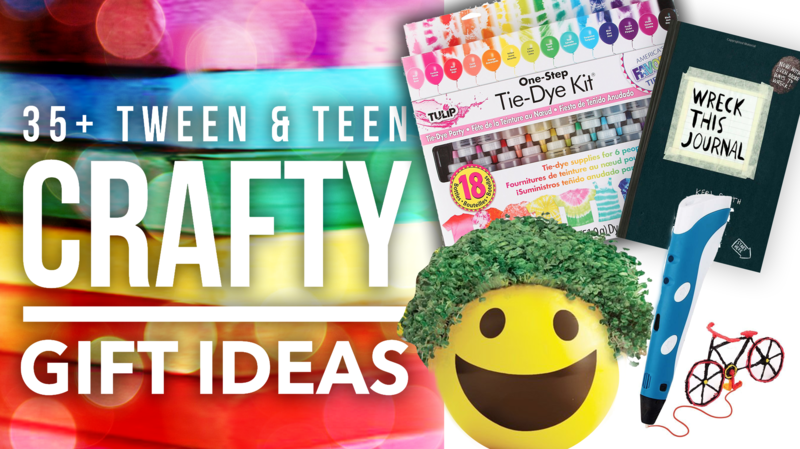 Check out my crafty gift guide for teens/tweens if you’re looking for a creative gift for the young girl in your life. Very cool. Am loving all your ornaments this holiday season! Posted on holiday and truebluemeandyou blog. I found these ornaments on Pinterest. Love the galaxy look they have!! 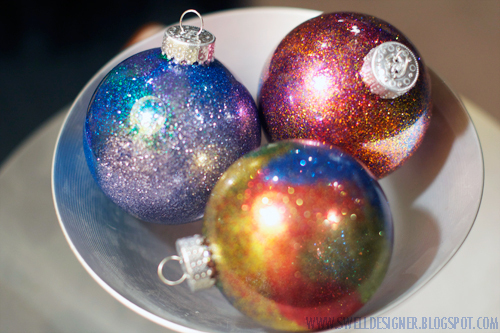 I adore these, the blue and periwinkle one is a must to be made and added to my tree! I was just wondering what it would look like if I used more than one color in these ornaments. Thanks for letting me know it will have such awesome results! OMG these look amazing and are so easy to do. You’re a legend, thankyou! 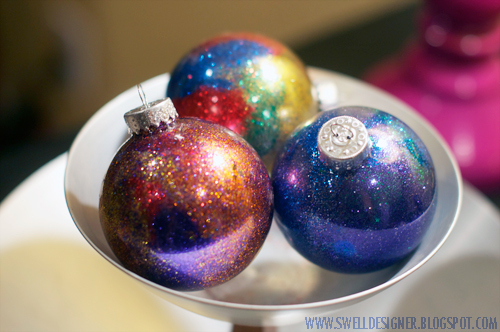 Do you have to use glass ornaments or can you use plastic? I thought this would be a great class craft but I know the school wouldn’t allow the glass ornaments to go home on the bus.